← What will be covered here? Finding the freshest beer can either be easy, tricky, or impossible. Each brewery formats and locates their dates in different ways and places. Many smaller breweries don’t even put a date on it at all. Label dates take two general forms: “best by” and “born on”. Sometimes it’s obvious which one you’re looking at, sometimes it’s not. “Born on” dates are easiest to interpret because you can do the math and tell how old it is yourself. “Best by” dates are a bit trickier because you don’t know what the brewer considers the shelf life to be. You can guess, but that’s about it. 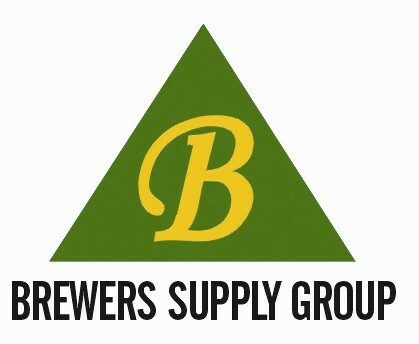 The beers from big brewers like A-B and MillerCoors have a 120-160 day shelf life. This is at the long end of the range and they can do this because they use a lot of adjuncts (non-malt carbohydrate sources) and have the resources to limit oxygen uptake during production. Their distribution chain is also refrigerated. Craft brewed beers have relatively shorter shelf lives, generally 120 days at the top end. Microbrewed beers are even shorter because they generally have less sophisticated bottling systems. Other factors can play into the lifespan of freshness, including whether the beer is filtered and how hoppy it is. Sometimes the format of the date can be rather cryptic. Some of them use a Julian date system which indicates the date by the day of the year (for example, Julian date 257 in 2010 is September 14th). So you may see these Julian dates along with a two-digit year, and perhaps a 4 digit time stamp (1455 would be 2:55pm). Who knows what you’ll see; everybody seems to be using a different format. specialty beer stores (with “thousands of different beers to choose from”) can be good places for selection, but bad places for freshness. The turnover rate for many of those beers is so slow that it oxidizes right there in the cooler over a few months (don’t forget the trip over the ocean if it’s an import). I’ve stopped buying beer at those places because more often than not it’s a dead beer. So, now you have some tips to help you find fresh beer at the market. Good hunting! This entry was posted in Uncategorized and tagged freshness, oxidation, packaging, shelf life. Bookmark the permalink. Very useful advice, thank you. Quick question though – is there an ABV threshold above which oxidation becomes less of a problem? I’ve bought quite a few beers at higher ABVs that say they’re designed for ageing (anything from 6 months to 20 years). Does that mean the oxidisation is part of the process that improves the beer over time? While I’m sure alcohol plays a role in how fast beer ages, I believe most of what makes those types of beers age well is the high amounts of malt and hop polyphenols (which are anti-oxidants) and the types of flavors that integrate decently (or effectively mask) oxidation flavors. A lighter beer will shows staling signs quickly because there’s nothing to cover it. As for beers that are “meant” to age, I have a feeling (with no evidence yet) that it’s a way for the brewer to take advantage of the fact that the beer ages well and spinning it with an angle to set it apart from most other beers. So what about beers that are supposed to age for months at a time? Is oxidation part of the maturation for certain styles or is it simply masked by the strength of the beer?